In the 1980s the Utility industry in North American made a great effort to create design and construction standards that could be used by everyone. Today, in many utilities if you open the construction standards books, the copyright date on the design standards is still from that era. Much has changed since the 1980s from renewables and DER to electric vehicles, and reliability requirements. This course is aimed at practitioners in the industry, regulators, and contractors who want to understand the impact on grid modernization of electrification, renewables, and other changes happening to the environment that the electric grid supports. With higher penetration of renewables and electric vehicles, lower voltage distribution circuits using small wire sizes are not adequate to the future. 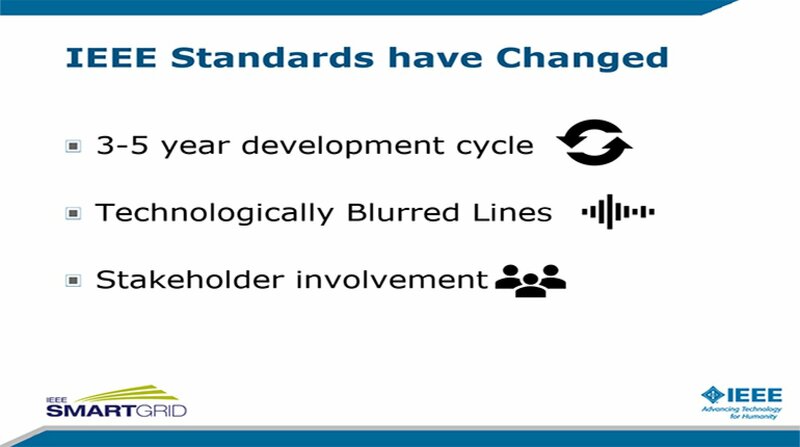 IEEE has completed updates to a number of international standards that also impacts grid design. The last major industry effort to update grid design standards and drawings was undertaken in the 1980s, prior to the existence of many of the issues that we face today. Discussion will include the history of how the current design standards (and drawings) were arrived at, the changes in issues and their direct impact on design standards, and recommendations for updating those standards will be discussed.